If you know me well or you’ve been following my blog or my social media channels for a long time, you’ll know I am a huge fan of Smashbox products. 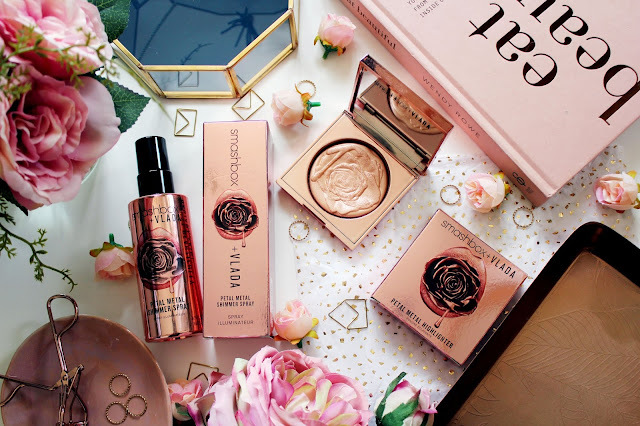 I find that Smashbox is a really underrated brand in the beauty blogging world and I’m unsure as to why as their products are SERIOUSLY good. 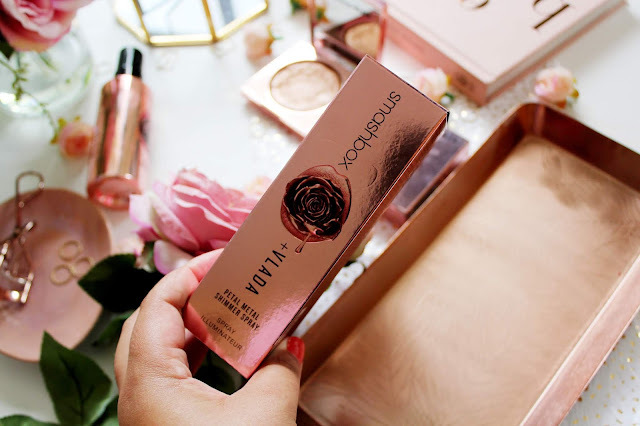 What I like about Smashbox is that they are a very ‘trend-led’ company but create good quality products for just a fraction above the high-street prices. 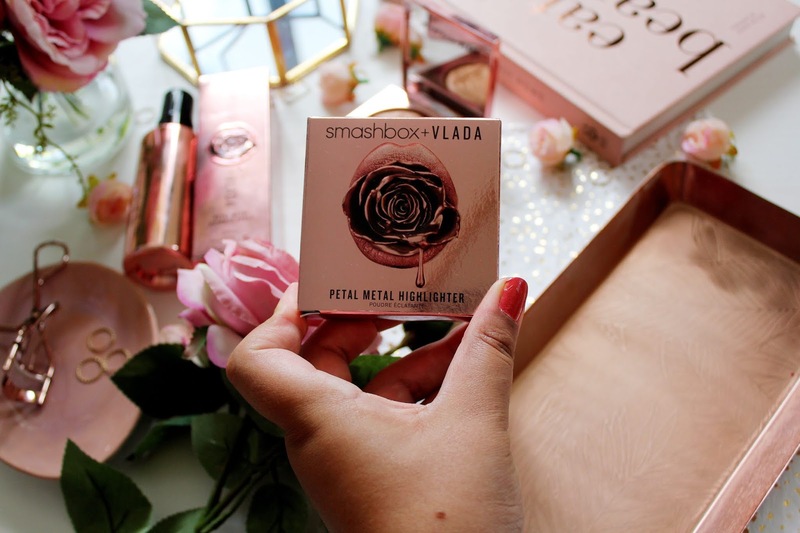 Anyway, fast forward slightly as I remember a few weeks ago seeing that Smashbox was launching a brand new range with their lip ambassador, Vlada Mua and when I saw it was all Rose Gold I KNEW I needed some of the range in my life. So low and behold, I got two new additions to my make-up collection the … setting spray and petal metal highlighter. 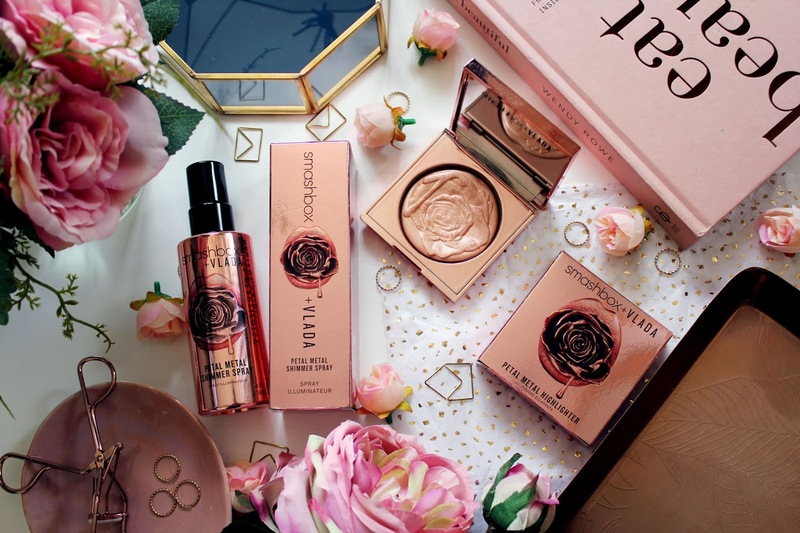 Now if you’re a rose gold fan like myself you will absolutely LOVE this highlighter. 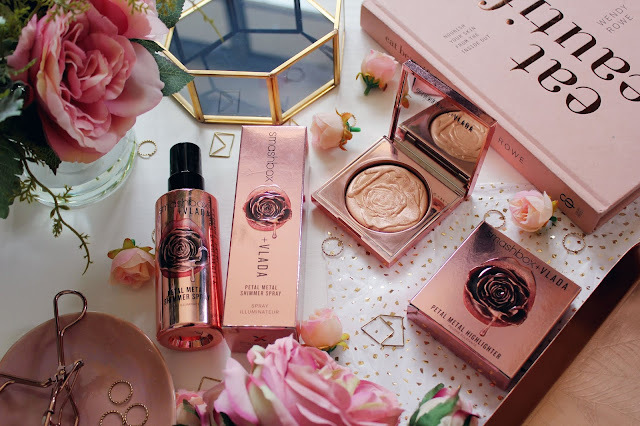 I mean the packaging is 10/10 and the highlighter itself is literally unreal. It gives my skin the nicest glow to it. The shimmer is slightly pink, but it’s mainly gold. 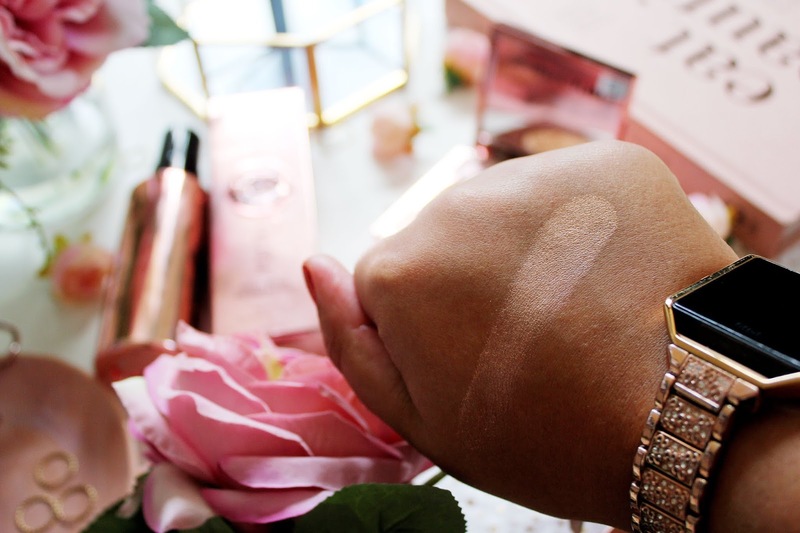 This highlighter reminds me of pearls and that the sort of finish it gives to your skin. I love how this highlight lasts all day and ever since I bought it I’ve had a lot of compliments on my makeup! This mist, in my opinion doesn’t perform as well as the Urban Decay All Nighter Setting Spray or the MAC Fix Plus Spray but it’s still reasonably good! 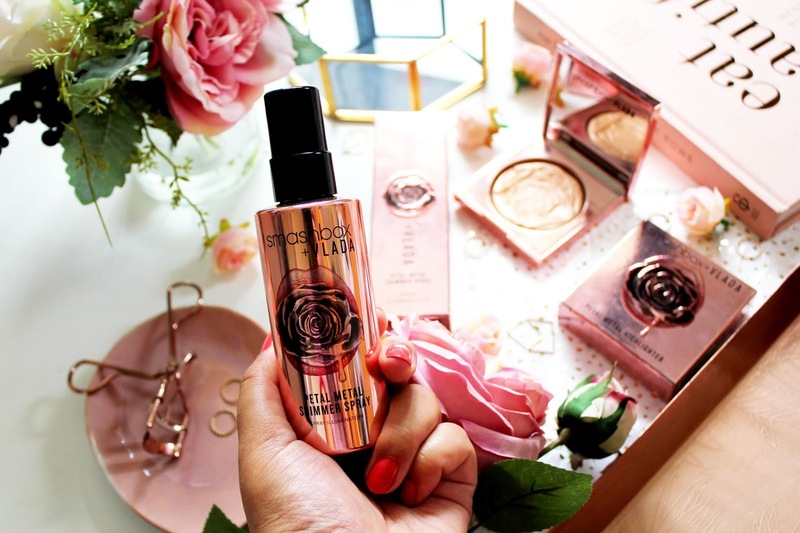 Make sure you shake this a lot before using it as you don’t want splatters of shimmer on your face! One way I do like to wear this spray is by spraying it onto my brushes before application for an extra glow. 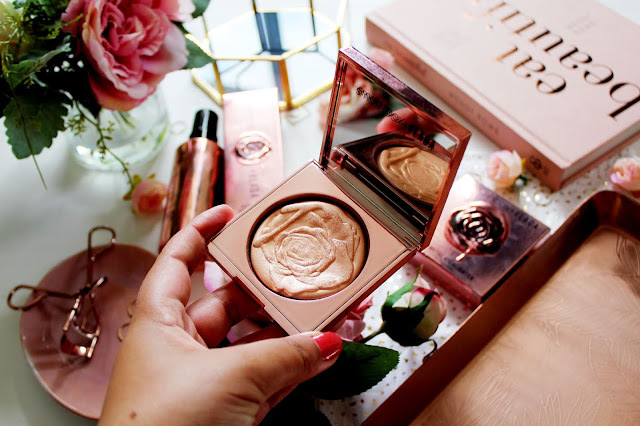 I haven’t tried it yet, but I am desperate to try this on my body and not just my face! Overall if you’re a rose gold fan it’s worth a purchase, but if I had to pick between the two I’d definitely stick to the highlighter. What do you think of this collection? Will you be picking anything up? I am so dying for the highlighter.. it looks insane!